Vehicle Crash: 1700 Block N Hwy 287, two drivers were involved in a minor accident when traffic around them behaved unpredictably due to construction workers preparing to set up cones. Noise Complaint: Hwy 56 and CR3, a complaint was received about trucks from a nearby drilling site were driving by their resident in the middle of the night for 5 to 6 hours straight. Suspicious Circumstances: Cheyenne, a Wyoming resident had received a Facebook posting that was derogatory in nature and felt the person who sent it lived in the Berthoud area. Suspicious Circumstances: Massachusetts Avenue, a mother reported that her 7th grade daughter may have eaten a marijuana infused Swedish fish at school last Friday. Swedish fish look just like the standard gummy candies as do the gummy bears and tootsie rolls. Suspended License / Speeding: 3rd Street and Welch Avenue, a 19-year-old Berthoud man was stopped for speeding and found to have a suspended license. Suspicious Circumstances: 3rd Street and Bunyan, a young child rang the doorbell of a house at 1:00 am. He told the resident he was homeless, had no parents and lives under a tree. After talking with the child he was brought to his real home. Trespass / Theft: Heron Lake Park Way / Pine Hill Drive, a construction worker reported a construction trailer at this location was entered unlawfully and approximately $9000 worth of construction equipment stolen. Welfare Check: Hwy 287 at CR2E, a man was reported as jumping in front of vehicles as they passed him one being a semi. The man was very disorientated and confused and stated he did want to hurt himself. Vehicle Crash: Hwy 56 and CR13, a 56-year-old man driving north on CR13 stopped for the stop sign at Hwy 56, and then continued through the intersection and was hit broad side by a 19-year-old driver from Johnstown who was driving eastbound. Trespass / Theft: Chokeberry Street, a resident reported her bicycle had been taken from her open garage and someone entered her vehicle and took $40.00. Vehicle Crash / Hit and Run: Keep Circle, an unknown vehicle struck a tree at this address, slight damage to the tree. Recovered Stolen Vehicle: Gateway Park Boulevard, a vehicle was located parked unattended in the parking lot. Vehicle stolen out of Denver. Vehicle Crash: Mile marker 327 on Hwy 287, a driver spun off the road after losing control. Stated he was only traveling 15 MPH over the speed limit. Theft: Mount Meeker Avenue, a resident reported the rear license plate was stolen from his vehicle. Disturbance: 5th Street, 2 men were in the middle of the street getting ready to fight. One of the men was holding a pipe. Both men must be friends again as they were gone when deputies arrived. Vehicle Crash: Bunyan Avenue and 1st Street, a driver pulled in front of another vehicle at this intersection. Disturbance: Glacier Avenue, a verbal disturbance was heard when the deputy arrived on scene. Parties were separated. Male stated female was on lease and payed $700 to live there. He was upset because of how she was moving his items. Domestic Violence / Assault / Criminal Mischief / Child Abuse: 5th Street, a woman is suspected of breaking the window in their home and cutting her husband with a piece of the broken glass, and did this in the presence of their son. Disturbance: Gateway Park Drive, a woman reported a disturbance with her husband at their home. Warrant Arrest / Criminal Impersonation / Canceled License / Possession of Schedule II drugs: Versaw Court / 2nd Street, a man and woman were contacted hiding in a vehicle that had been called in as suspicious. The male gave two fake identities, but he was identified and found to have three Boulder County warrants and was cancel/denied. K-9 sniff yielded 1.2 grams of suspected methamphetamine from the vehicle. Vehicle Crash: Spartan Avenue, a teenage driver hit a parked vehicle in the High School parking lot. Fraud: Franklin Avenue, an elderly man’s son has power of attorney and had not paid the bill for his father to stay at the facility. The son was contacted and admitted to using the money from his dad to pay his own bills every month. Suspicious Circumstances: Redwood Circle, a resident made multiple threats and statements about students, staff, along with the SRO, and other law enforcement on his Facebook. Trespass: 6th Street, a resident was in fear of his vehicle being “Car jacked” by another man when the man ran up to his vehicle. The man was yelling “Get out of the vehicle” while pounding on the driver’s window. The man was able to pull the driver’s door open and as he grabbed for the owner of the vehicle he accelerated away and inadvertently drove over the man. Theft: 3rd Street, a resident reported that when she picked up her lost wallet from the town hall the previous evening, she noted items missing. Some items were recovered today, but the money is still missing. Recovered Stolen Vehicle and Stolen Plates: Deputies recovered a stolen vehicle (out of Longmont) and license plate (out of Ft. Collins). Suspect is in custody. Suspicious Circumstances: Hwy 56 and CR13, a 46-year-old man was called in as a possible drunk driver and stopped by other drivers after driving into oncoming traffic on Hwy 56. The man did not display indicia of intoxication, but had been released from a mental health facility that morning. The man stated he was swerving because he was the target of both the FBI and ISIS. He also made statements regarding parallel dimensions affecting the roads connecting to one another. Suspicious Circumstances: 3rd Street and Mountain Avenue, a vehicle with tinted windows followed a deputy around town for several blocks and 5 consecutive turns, including two left turns in a row. Upon contact, the driver was found to be a 54-year-old woman, who stated she simply wanted to chat, and is very interested in law enforcement. Suspicious Circumstances: S. 9th Street, a resident stated a she was told a 32-year-old Berthoud woman tried to cash one of her checks to buy groceries. The woman never had permission to use her checks and believed the woman stole the check. Warrant Arrest: S. 9th Street, a 32-year-old man was arrested for three warrants. Fraud: Munson Court, a resident had her identity stolen during the Banner hack in 2016. Lots of issues since. Citizen Assist: 1st St, a neighbor reported hearing a loud bang near his residence. Lots of blood seen around house on arrival, entry made through unlocked door. More blood seen, no one located. Area hospitals were checked and the owner of house was located at a hospital who stated he was working on a small green propane tank he thought was empty. Tank caught fire then blew up in his right hand. Suspicious Circumstances: 2nd Street, a 28-year-old man was contacted walking in an alley between two closed businesses. He stated that he was just getting a Coke from the Coke machine. The man is known and has a history of meth use and motor vehicle thefts. Suspicious Circumstances: S. 9th Street, two men were seen hanging around a house at this location. When contacted, they told the deputy they used to live at this address and wanted to see if the owners would give them a BBQ pit that was left in the back yard when the house was originally sold. Vehicle Crash: 1st Street and CR10E, a driver rear-ended another vehicle at this location. Vehicle Trespass: Meadowlark Drive, two trailers and one storage unit were entered. The locks were cut with a grinder and entry was made. Warrant Arrest: 1st Street and Bunyan Avenue, a 33-year-old man was contacted as a suspicious person near that Conoco after it had closed. The man had a warrant for his arrest and was booked. Detox-Hold: Oak Drive, a 55-year-old woman was taken to the hospital on a detox hold. Preliminary breath test showed she was 3 times over the legal limit. Harassment: Massachusetts Avenue, a 55-year-old woman was reported to have physically struck a 5-year-old in the chest. The child was not injured. Criminal Mischief: Massachusetts Avenue: a resident had her vehicle parked in the parking lot at Turner Middle School. An unknown person is believed to have door smacked her vehicle leaving a long white and green paint transfer and crease in the rear door. Vehicle Crash: Canyonlands Street and Kansas Avenue, a 16-year-old driver from Johnstown lost control of his vehicle and struck an Xcel electrical box. Vehicle Crash / Careless Driving / Left Scene of a Crash: Welch Avenue and Victoria Street, a driver drove through a stop sign and ran into another vehicle. Harassment: Oak Drive, a 55-year-old woman decided to text her sister numerous times causing annoyance. 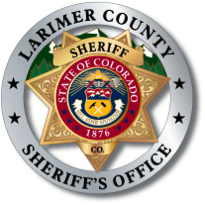 Dog Bite / Loose Dog: Bunyan Avenue, a large black dog was observed running in the area of Berthoud Elementary with no collar. Deputies attempted to catch the dog but not before it bit a woman who was walking down the street with her two daughters. The dog then charged other pedestrians on the street. The dog was apprehended with a catch pole after a taser was deployed. Vehicle Crash / Hit and Run: Aspen Drive, an unknown driver of a Ford truck drove off the roadway and into the yard of this residence causing damage to landscape. Contact was made with family at a nearby residence who stated the vehicle belonged to their son, but they refused to get him or provide insurance information for the vehicle. Missing Child: Caballero Street, an 11-year-old boy ran away from home. He was located on his bike at Hwy 402 and Hwy 287 and reunited with family. He was on his way to the Loveland Public Library. Vehicle Crash: Hwy 287 and CR17, a driver was following a vehicle too closely and was not able to stop quickly enough to avoid the vehicle in front of him, so he veered into the lane to the right and struck another vehicle instead. DUI: Longview Drive, a Berthoud driver was called in as a REDDI after a witness saw him stumble and get into his vehicle. He was contacted at his residence, stated he was intoxicated and drank more than he should have. He stated he did not eat or drink since he got home. Vehicle Crash: Hwy 287 and CR17, a driver failed to stop in time and struck another vehicle pushing him into a third vehicle. Family Problems: Torrey’s Peak Lane, an ex-husband sent numerous text messages to his wife threatening her new boyfriend. Vehicle Crash: 9th Street and Welch Avenue, a driver failed to yield right of way and struck another vehicle. Burglary: Mountain Avenue, suspects broke into the A&W when it was closed and stole money. Welfare Check: 4th Street, a juvenile was contacted at home after a report that they wanted to hurt themselves. Assault / Domestic Violence: Marshall Place, a 32-year-old Berthoud woman reported being punched in the face several times by her 34-year-old boyfriend during an argument. Vehicle Theft: Construction site at 5th Street and Nebraska Avenue, a Bobcat was taken from a construction site and driven around. Located about 1/2 mile from original spot. Suspicious Circumstances: Berthoud High School. Caller reported observing a male with a handgun exit the southeast portion of the school, shoot it once into the air, then go back into the school. Multiple units start towards BHS. First units on scene discover male with a gun was a teacher with a “starter pistol.” Teacher needed spent shell casing for mock crime scene and decided to fire a starter pistol outside of class room. The teacher became the student with Law Enforcement about his actions. Criminal Mischief /Trespass: Biscayne Court, a resident reported that her window screen had been cut open and that someone had possibly tried to slide the locked window open. Underage Marijuana Use: 8th Street and Mountain Avenue, during a traffic stop, it was discovered that three teenagers had used marijuana and are under the age of twenty-one. Marijuana and a pipe were located inside of the vehicle. Menacing: Colorado Avenue, a resident reported a 20-year-old man pointed a shotgun at him. The resident stated the man came to his house un-invited and pointed a shotgun at him from inside his truck. Burglar Alarm: Memory Lane, deputies responded to a burglar alarm at this address. It was discovered that the dogs set off the alarm but they blamed the cat. Assist to Idaho Fall Police: Hubbell Street, deputies contacted a resident to have them call Idaho Falls Police as they arrested a person there that had the resident’s ID and credit card. Theft: Mountain Avenue, an employee reported that a male in his late teens stole the cash out of her tip jar. Trespass: 1st Street, a resident reported his camper trailer was illegally entered and small items were taken from inside. Towed Vehicle: CR17 south of 287, towed from this location, a green Subaru legacy that was tagged on the 23 of May. Suspicious Circumstances: 900 block of Massachusetts, someone got into the recycle bin and left the door open and papers scattered all around the school. Suspicious Circumstances: 2nd Street, a storage was rented to someone who never signed an agreement nor paid any money. The lock was cut off and several marijuana plants were discovered inside the unit. Identity Theft: Sioux Drive, a resident reported that the company she works for notified her that they had a cyber-attack and several employee’s personal information was hacked. She stated that she was notified several times that her social security number was used. Suspicious Circumstances: Franklin Avenue, a 65-year-old man was spraying the “Reddi-Whip” from the can into his mouth and a 71-year-old man did not like it so he pushed him. Suspicious Circumstances: Kansas Avenue, a report came in that there was a vehicle parked in this area with the back hatch open and no one around. Turned out the vehicle belonged to be a construction worker who was working in the area. Suspicious Circumstances: Sixth Street, a resident reported that she received a letter from Tristar on her workman’s comp claim from 2015 in Walnut Creek, Calif. Problem was she has never been to Walnut Creek, Calif. Her info may have been hacked from the Banner Medical hack a while ago. She is not out any money or has any new accounts at this time. Walnut Creek PD made contact at the Dr.’s office where the bill came from and was able to determine that they had an actual patient with the same name but who was 11-years younger. Site contents copyright © 2019 Recorder Online	except as noted. All rights reserved. | 86 queries in 1.318 seconds.